Though less than a half-hour from the hustle and bustle of the state capital, life in Gadsden County is decidedly more laid back. Gadsden County offers the best of both worlds. Cultural and recreational activities abound, as do opportunities for involvement in any of the county's 30+ civic organizations, and more than 100 houses of worship. Or, residents can simply sit back and enjoy the aesthetic beauty and historical charm of Gadsden County. Citizens enjoy an economical lifestyle, with low cost of living. Prices for housing, food, apparel and services have been found to be low in Gadsden County in comparison to other counties in Florida. Plentiful housing is available, and newcomers can take their pick from a wide array of options from contemporary to historical. Gadsden County offers homes in modern developments and old established neighborhoods, as well as peaceful waterfront living. 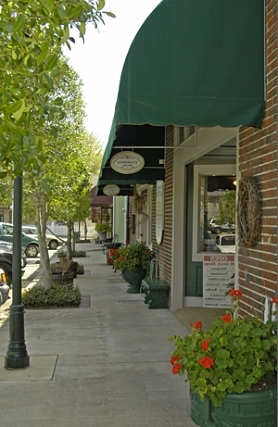 There is a quality of life in Gadsden County that combines the best of the past with the convenience of the present. As a well-used slogan declares, "Gadsden County is a great place to spend an hour, a day, or a lifetime." Click here to view "Journey Through Gadsden," a video provided by the Gadsden County Tourist Development Council and VISIT FLORIDA to showcase a sampling of Gadsden County.